Sindicatul "Pastorul cel bun" v. Romania. The Becket Fund for Religious Liberty (n.d.). Retrieved from https://www.becketlaw.org/case/sindicatul-pastorul-cel-bun-v-romania/. Sindicatul "Pastorul cel bun" v. Romania. (Apr. 04, 2019). https://www.becketlaw.org/case/sindicatul-pastorul-cel-bun-v-romania/. "Sindicatul "Pastorul cel bun" v. Romania." The Becket Fund for Religious Liberty. Accessed [Apr. 04, 2019]. https://www.becketlaw.org/case/sindicatul-pastorul-cel-bun-v-romania/. The stakes could not be higher for European churches. Sindicatul v. Romania concerns a group of priests of the Romanian Orthodox Church who sought to form a trade union against the wishes of their ecclesiastical leaders. The Romanian courts and the Romanian government found that the establishment of such a “rogue” union would violate the church’s religious freedom, in that it would permit the government to meddle in the employment decisions of a church. However, the priests appealed to the European Court of Human Rights (ECHR), and a small panel ruled that the priests’ right to unionize trumped the church’s religious liberty. The Romanian government appealed to the ECHR’s Grand Chamber, which is the highest panel within the European human rights system. Becket and other civil society groups publicly urged the Grand Chamber to take up the case and undo the smaller panel decision. To that end, Becket published an article in a Romanian law review, Revista de Drept Social, and presented remarks regarding the case at the Council of Europe in June 2012. 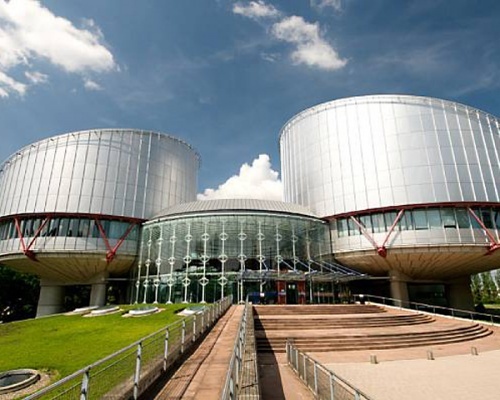 A month later, the Grand Chamber of the ECHR decided to take the case. The Grand Chamber then permitted Becket to file a third-party brief, along with the International Center for Law and Religion Studies, headed by BYU law professor Cole Durham, and Stanford Law School professor Michael McConnell. The brief argued that churches, synagogues and other religious organizations have a right to order their internal affairs without government interference. In July 2013, the ECHR made its groundbreaking 11-6 decision affecting the rights of religious groups in Europe. The Grand Chamber ruled that the Romanian Orthodox Church’s right of religious autonomy trumped the right of dissident Romanian Orthodox priests to create a trade union. Why is it important for churches to have autonomy in managing the ministers who communicate their faith? Becket’s brief provides a simple answer to this question: Just as the conscience of a person – how he or she decides what to believe – is absolutely protected from government interference, so are the processes by which a church decides what it believes, namely, its ability to order its relationships with employees who teach and communicate the faith. Therefore, government officials should not have power to invade the interior life of the church by imposing outside decisions on the church. This non-interference principle is essential in any pluralistic, democratic society — especially as Europe and America become increasingly religiously diverse. Notably, Becket argued a similar church autonomy case, Hosanna Tabor v. EEOC, in front of the U.S. Supreme Court in 2011. The Court unanimously decided in favor of religious freedom, ruling that religious organizations have special rights when it comes to hiring people who communicate their doctrine and minister to their congregants.